Though not as popular as the lemon, lime or orange, each of these five citrus fruits are worth a taste. While walking through the aisles of any supermarket, you will likely notice an abundance of fresh seasonal citrus in the winter. Each year, it seems like there are more and more varieties available; it’s almost hard to keep up with the growing citrus stock. You’re probably familiar with the standard orange and grapefruit, but how many of these other types have you tried? 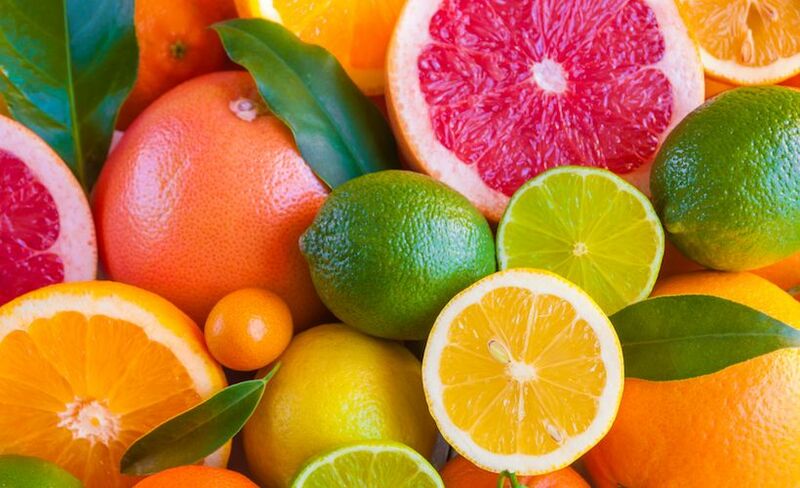 Below, we highlight five citrus fruits with savory tastes that every person–runner or not–should try. This oversized fruit looks like a grapefruit, but it has a slightly milder taste. The pomelo originated in Southeast Asia, and it varies in color from yellow to green. The inside has a thicker pith than many other citrus fruits, with a bright pink flesh. Some are filled with seeds, while others are seedless. When choosing a pomelo, opt for ones that are more yellow than green and feel firm. This variety often has a slightly lumpy skin, and you will likely find it with the leaves still attached. Satsumas are revered as the juiciest citrus fruit, and they have a sweet and slightly tart flavor. The skin is a bit loose, making it easy to peel and eat for a snack or add to a salad. These will stay good on the counter for about a week or in the fridge for several weeks. True to its name, the satsuma originated in Japan but now grows in the U.S.
At first glance, you may not notice the difference between a Cara Cara and a traditional navel orange. Both are medium-sized fruits with orange peels. If you do happen to pick up a Cara Cara orange and slice into it, you will be delighted at the pinkish-red flesh and the slightly sweet taste. Less sour than a traditional orange, the Cara Cara variety is sweet with just a touch of tanginess. Make sure you store it in a cool place to enhance its shelf life. If this spooky name isn’t enough to tempt you to add a blood orange to your cart, the tie-dyed look of the peel will probably do the trick. Blood oranges are noticeable because of their reddish, purpleish, blushy peel. No two look the same on the outside, but the inside is even more striking: they are deeply red, due to their abundance of antioxidants. There are a few varieties of blood oranges, like the Sicilian, Ruby Blood and Moro. All have a slightly different taste, but they tend to be sweet with a touch of bitterness. Cuties aren’t just for kids–and they happen to be my favorite variety. These adorable little citrus fruits are tiny, sweet and juicy. People tend to call this citrus variety a ‘clementine,’ but that’s just one variety of mandarin; the other kind is called a Murcott and extremely similar. Derived from China more than 3,000 years ago—hence the name—clementines are easy to peel and separate for a fun snack.